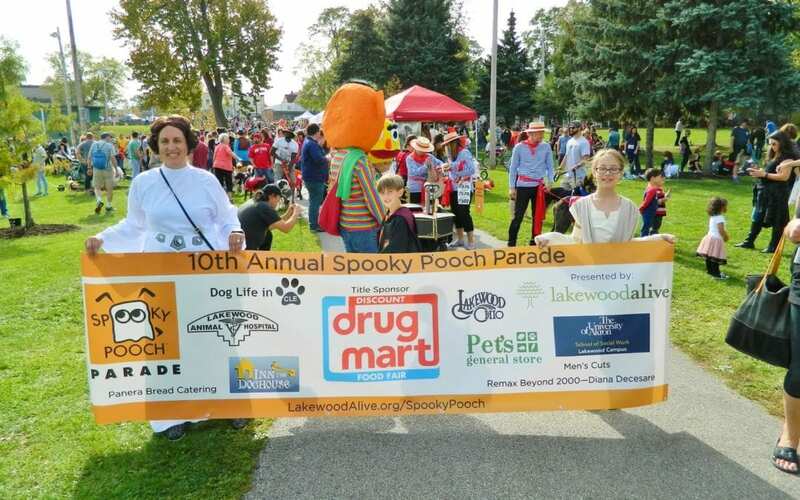 The Spooky Pooch Parade consists of a festival within Kauffman Park (15450 Detroit Avenue), a parade through Lakewood’s downtown business district on Detroit Avenue and an awards presentation. A favorite Halloween tradition for Northeast Ohio dog lovers and their families, this popular community festival represents one of the only events of its kind within the region, providing a tail-wagging good time for canine and human guests alike. Last year’s Spooky Pooch Parade drew nearly 350 canines and an estimated crowd of 2,500 people. Discount Drug Mart, an Ohio-based, full-service drug store, has served Northeast Ohio for nearly five decades, priding itself on superior customer service, low prices and convenient one-stop shopping. This longtime local company has two locations in Lakewood (13123 Detroit Avenue and 15412 Detroit Avenue), the latter of which is located just south of Kauffman Park, the site of the Spooky Pooch Parade. 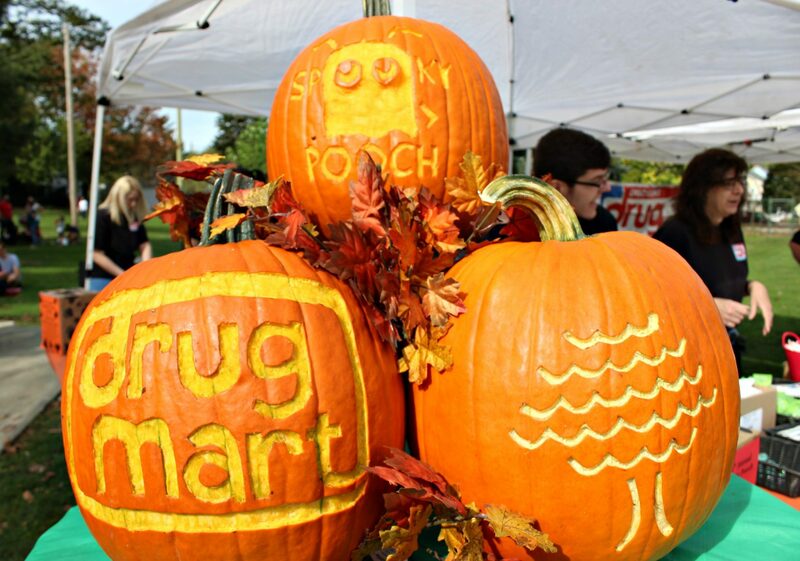 Discount Drug Mart is serving as Title Sponsor of the Spooky Pooch Parade for the fourth consecutive year. Sponsorship opportunities and vendor applications are now available for this much-anticipated autumn event. 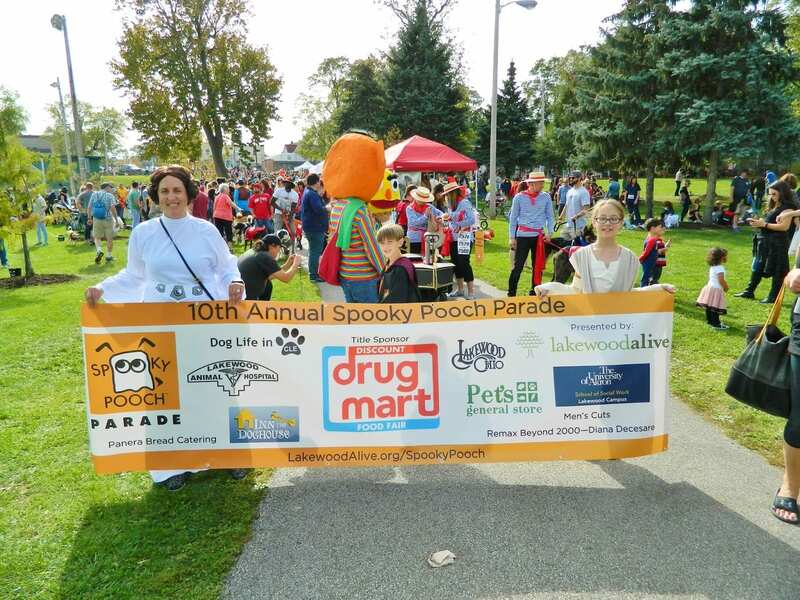 For more information regarding serving as a sponsor or vendor for the Spooky Pooch Parade, please contact Vince Williams, LakewoodAlive’s Event & Volunteer Coordinator, at 216-521-0655. Registration for the 11th Annual Spooky Pooch Parade will open in the coming weeks. For more information, please visit LakewoodAlive.org/SpookyPooch.